But in a landmark study published Thursday in Nature journal Scientific Reports, researchers revealed they’ve discovered the first-ever “vaccine” for bees, procured from an unexpected source: mushrooms. Specifically, it’s mycelia—cobweb-like fungal membranes found in and on soil—from two species, “tinder fungus” and Red Reishi mushrooms. 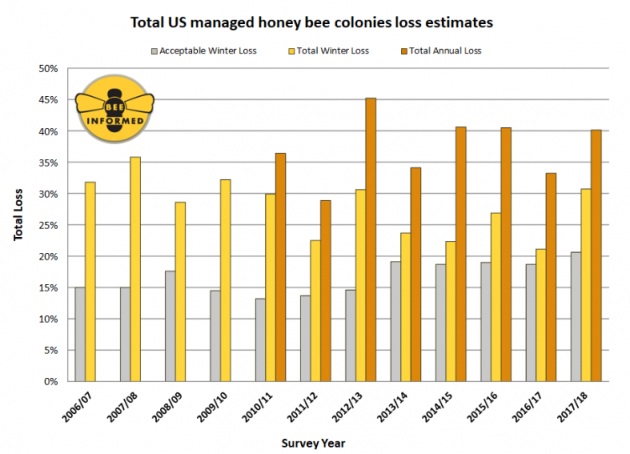 “Up until this discovery, there were no antivirals reducing viruses in bees,” Paul Stamets, the lead author on the study, tells Mother Jones. “Not only is this the first discovery, but these extracts are incredibly potent.” Stamets is a Washington-based mycologist and author whose work includes books Mycelium Running: How Mushrooms Can Help Save The World, Growing Gourmet and Medicinal Mushrooms, and Psilocybin Mushrooms of the World. Stamets also holds patents “pertaining to the use of fungal extracts for antiviral activity and honeybee health,” according to the study. This giant discovery actually has very humble origins. Decades before colony collapse hit the United States, Stamets says he had noticed bees in his own yard feeding off water droplets on the mushrooms that were growing on wood chips in his garden. They had pushed the wood chips aside to expose the mycelium. At the time, he thought they might be getting sugars from the fungi, and it wasn’t until about five years ago—after researching the antiviral properties of fungi for humans—that he made the connection to viruses affecting bees. “I had this waking dream, ‘I think I can save the bees,'” he says.